My Essie Nail Polish Collection has grown to 8 polishes so I thought it was time to show you my collection. I really love Essie Nail Polishes. I feel like the big 3 brands are OPI, China Glaze and Essie. I haven't tried the other two and if you gave me the option of buying one of the 3 I'd go for Essie. I can't get enough of them! I know that Sara from beautifulworldoflennynb.blogspot.com really likes Essie polishes as well and regularly posts about them. Everytime a post featuring one pops up I fall in love with the shades! Enough rambling, lets show you the colours! This is a recent purchase, I've seen it on loads of blogs and I adore it! Its some where between blue and lilac. It was nearly opaque with one coat and completely opaque with two. Again this is a recent purchase. Its a lovely green, unlike any other green I have. I'm not sure how to describe it but the opacity is just like Bikini So Teeny. My last recent purchase is a orange, a very true orange, a basic orange. I think this will be nice when it comes to spring/summer next year. 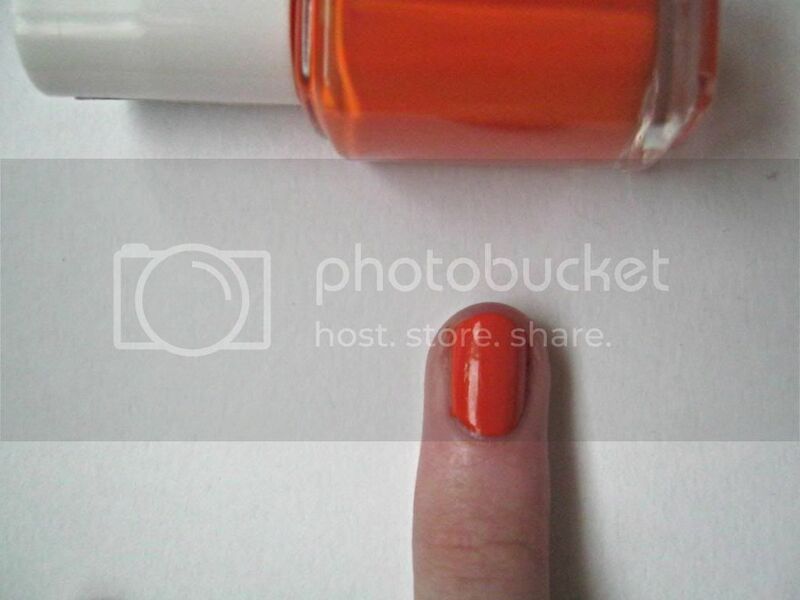 The opacity is similar to the first two polishes shown. I haven't decided yet whether I like this shade or not. It doens't come out as the exact colour in the bottle which is a shame because it looks lovely. 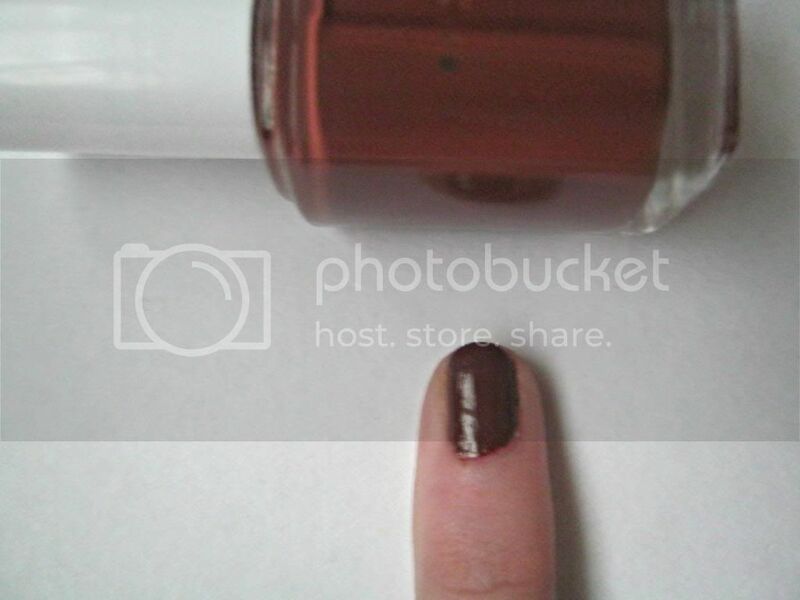 Its basically a dark brown which is opaque in two coats. 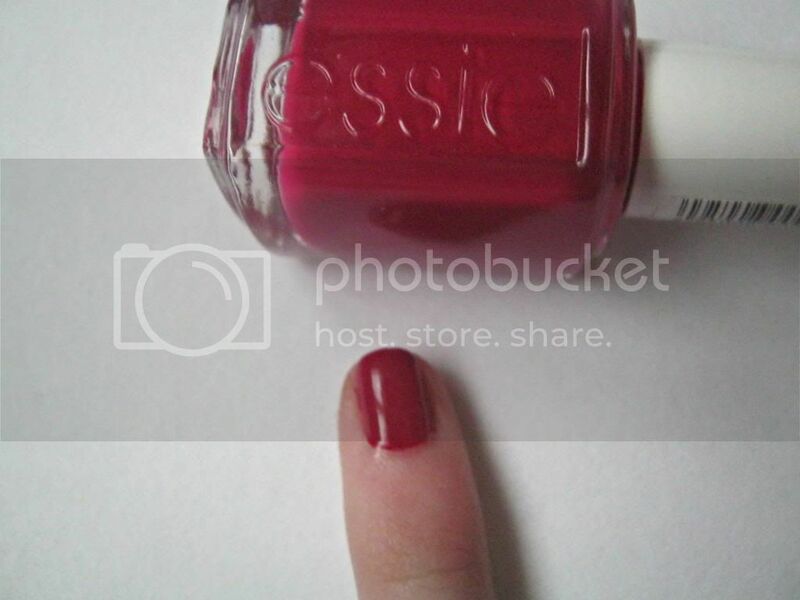 This was the first Essie Nail Polish I ever owned. Its a lilac colour and unfortunately since I've had it the formula seems to have become a bit gloopy. But I'm sure an overnight trip to the fridge should help it. 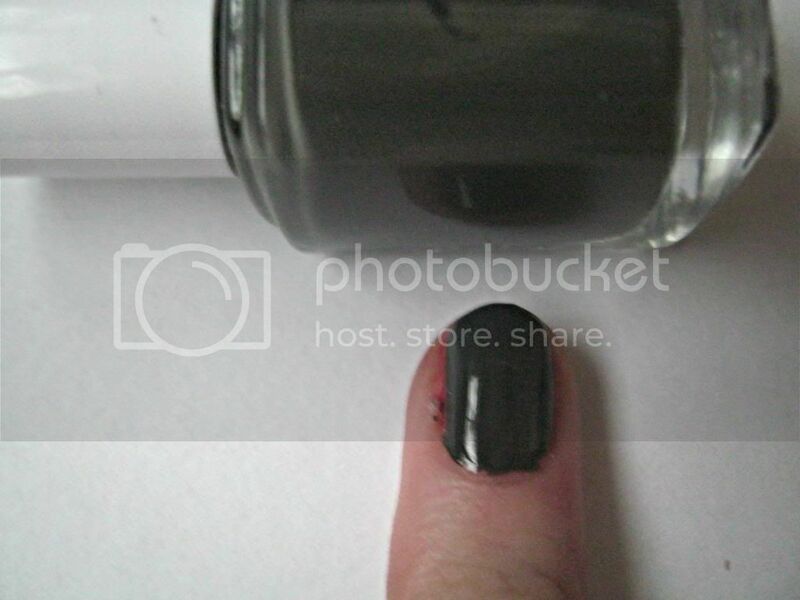 Its opaque in three coats. This was probably my favourite autumn nail colour and this picture doesn't do it justice. You can see it better in the NOTD linked above. 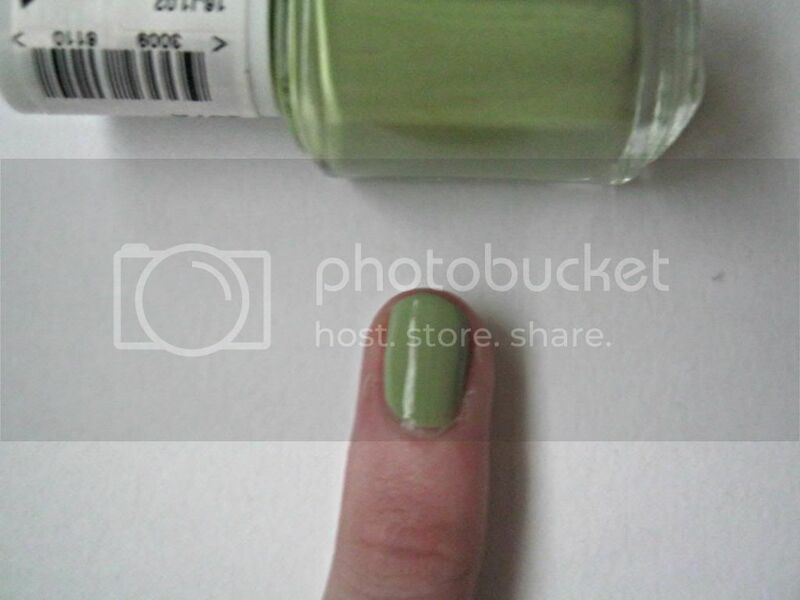 Its a gorgeous green toned shade and its opaque in two coats. When I first saw this colour I liked it but I was nervous. This is the first time I have applied it and I think it's going to be great for summer, especially on my toe nails. This is more of a red orange compared to the other orange shade in my collection. 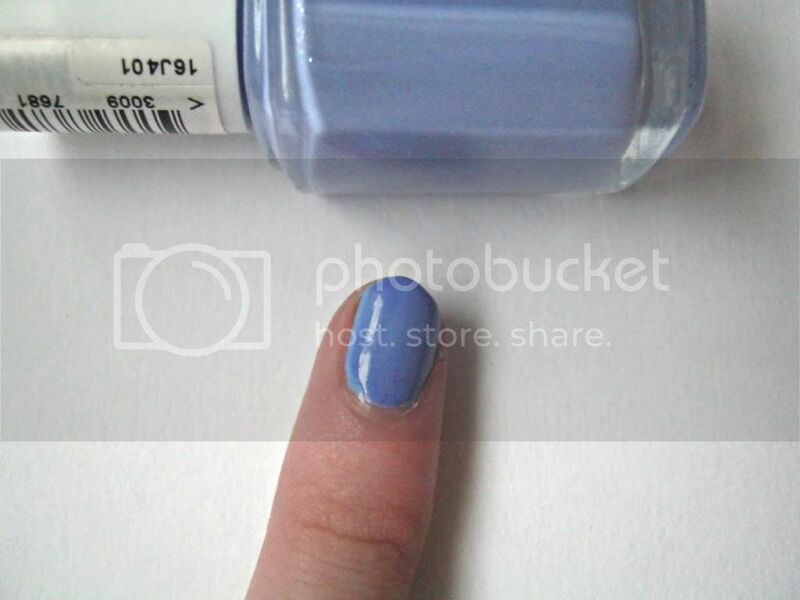 Its opaque in two coats. I have worn this shade a lot since I got it. Its a lovely berry colour for winter with splashes of plum in it. Its opaque in two coats. That's all my Essie Nail Polish and I hope my collection continues to grow, obviously not until my spending ban is over though! 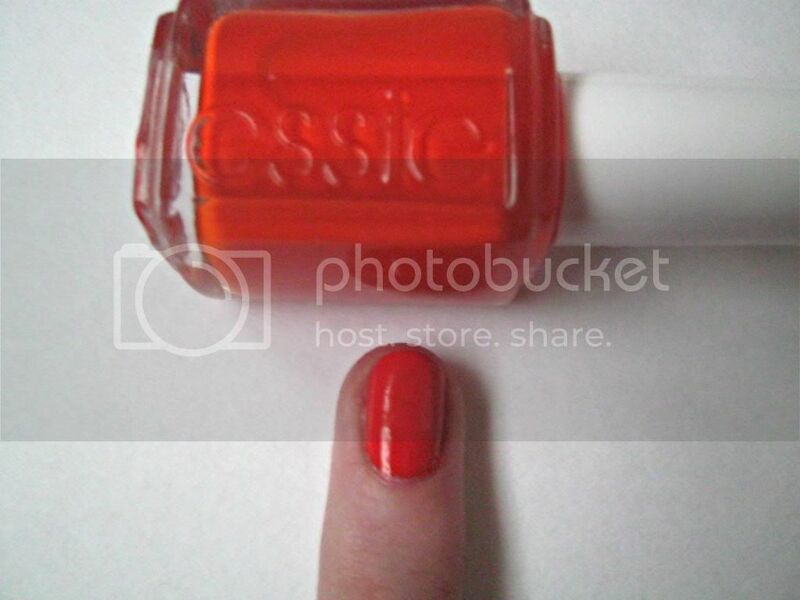 Have you tried Essie? If not what shades do you have on your wishlist? I really like Power Clutch.